You’ve reached the limit! Use 800 characters or less. 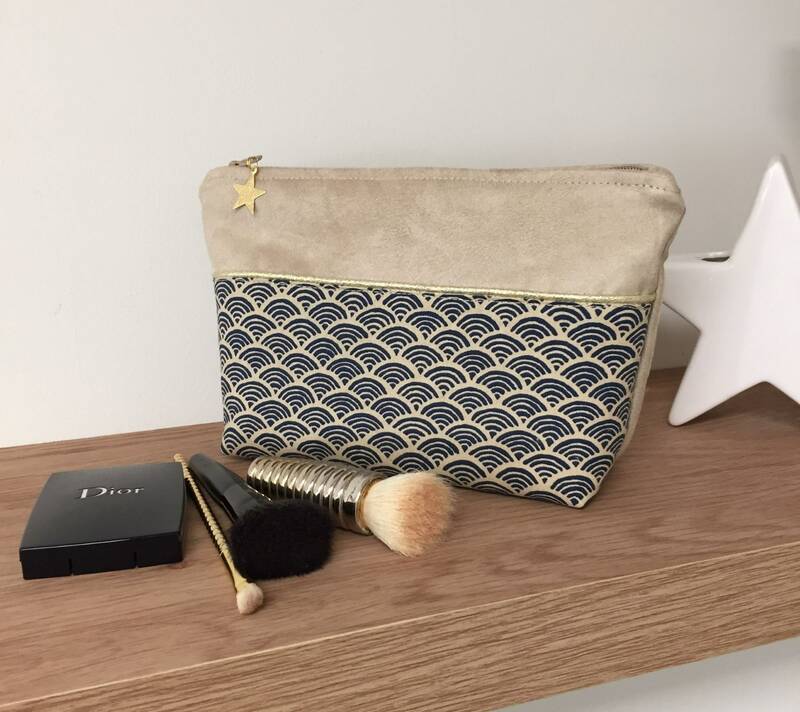 Make-up bag, bag bag, beauty bag in suede and Japanese fabric Seihaika with small beige and dark blue waves, with a thin golden border on the front and its star! This elegant clutch will make a useful and elegant gift, entirely handmade in France, in a limited edition ! A golden star charm adorns the slider of the zipper. You will receive it with a tracking number, nicely packaged, well protected and ready to offer! The finishing touches of this pouch are very careful and, as a professional, I offer you "the satisfied or refunded guarantee"! Each item is designed and manufactured at the Lesfilsdisa workshop with care and attention to detail, from design to shipping.